Spiritual growth is simply growing in the Christian faith. It is the work of the Holy Spirit, Who takes a new-born believer from babyhood to maturity. It’s nothing to do with ‘spiritualising’ Scripture, which twists God’s Word, by trying to discover a secret meaning or hidden knowledge. But there is no ‘standing-still’ in spiritual growth. We either grow in grace, or we regress back to babyhood. The saved are members of God’s family but only they have access to His throne of grace. Only they are in union with Christ, positioned in Him and seated in heavenly places. And only believers are not under God’s condemnation, but by faith are in-dwelt, led and chastised by the Spirit as sons. Only believers are being conformed into the image of the Christ and only they can grieve or quench the Holy Spirit. Walking in the light ensures fellowship with God. Not walking in the light blocks a believer from fellowship with Him. Sin is the barrier that blocks our fellowship, while confession is the means to restore communion. 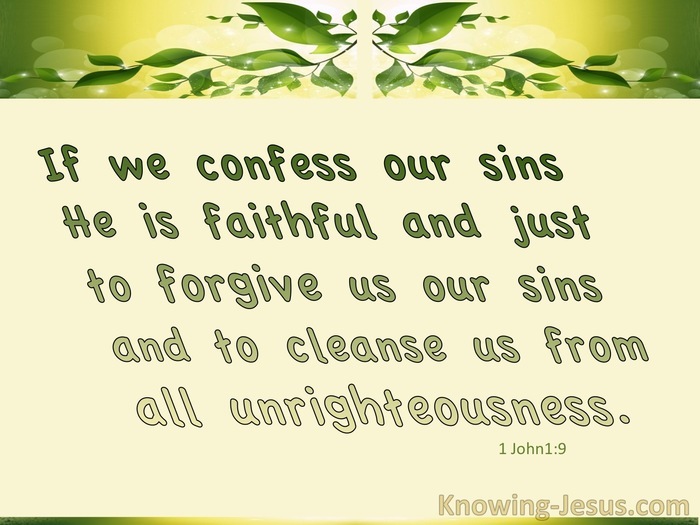 Remember: the blood of Jesus Christ His Son cleanses us from all sin 1 John 1:7 – past, present and future, but confession of sin restores us into fellowship with the Father. But how does the blood of Jesus cleanse all sin? Well at rebirth, all our past, present and future sins were forgiven forever, and that’s grace. But during our Christian life we still fall into sin, and sin always separates us from a holy God. Although we retain our family position and our union with Christ, we fall from grace.. we block our fellowship, which can only be restored through confession. God’s standard for man is perfection, but only Christ is perfect, for all have sinned and fall short of His glory, Romans 5:12. Our murmurings and bitter thoughts are ‘sin‘ by God’s standard. Our ungrateful hearts, fleshly irritations, lack of forgiveness and criticism of others fall far short of God’s standard, which grieves the Spirit and blocks our fellowship, with the Father – and that requires us to confess our sin to Him. Often believers do not understand Biblical confession because religion has muddied the waters. As God’s children we have access to His throne, through Christ. 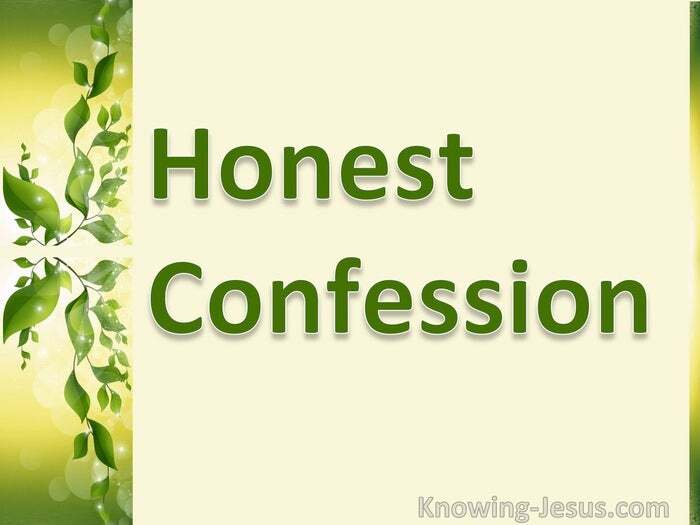 Confession is simply telling our Father our sins. It is not to beg for mercy, seek forgiveness, plead repentance, or weep copious tears, though that may take place. The Bible says ‘confess’ you sins – which means ‘name’ you sins. His faithfulness guarantees forgiveness as well as a return to fellowship. His righteousness means that there may be consequences that follow our sin. But never let us despise the chastening of our heavenly Father: for the LORD disciplines those He loves, just as a father the son he delights in. Proverbs 3:20. Rather let us rejoice in humble but grateful thanks, for His faithfulness, His righteousness and His love.